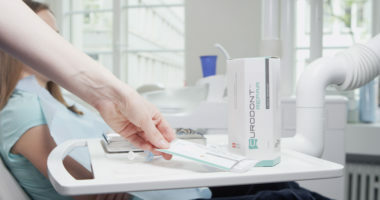 While credentis goes new ways to prevent and treat caries, it is strong in the development of innovative medical devices and cosmetic solutions for the professional oral care market. An additional patent for a „Method for producing a composition for treating a tooth lesion“ has now been granted in the US and the EU. 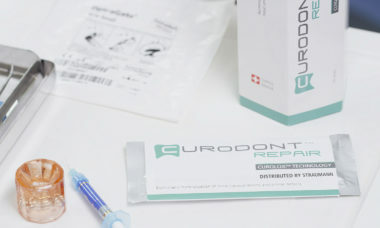 With this credentis secures the intellectual property (IP) of the innovative CUROLOX® TECHNOLOGY in its leading caries treatment product CURODONT™ REPAIR for an additional 15 years. CURODONT REPAIR Mode of Action: a) Läsion, b) P11-4 diffusion in die kariöse Läsion, c) Bildung der 3-D matirx, d) Kristallisation von Hydroxylapatit Kristallen in der Läsion. 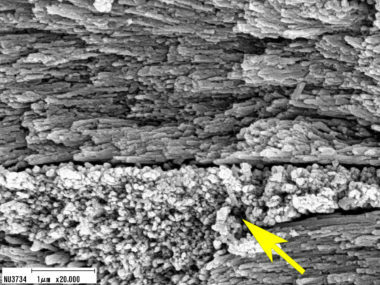 Über 40 wissenschaftliche Veröffentlichungen zu CURODONT™ REPAIR und der CUROLOX® TECHNOLOGY beschreiben die Entwicklung, Funktion, Sicherheit und klinische Wirksamkeit der Guided Enamel Regeneration mit dem selbstorganisierenden Peptid P11-4.